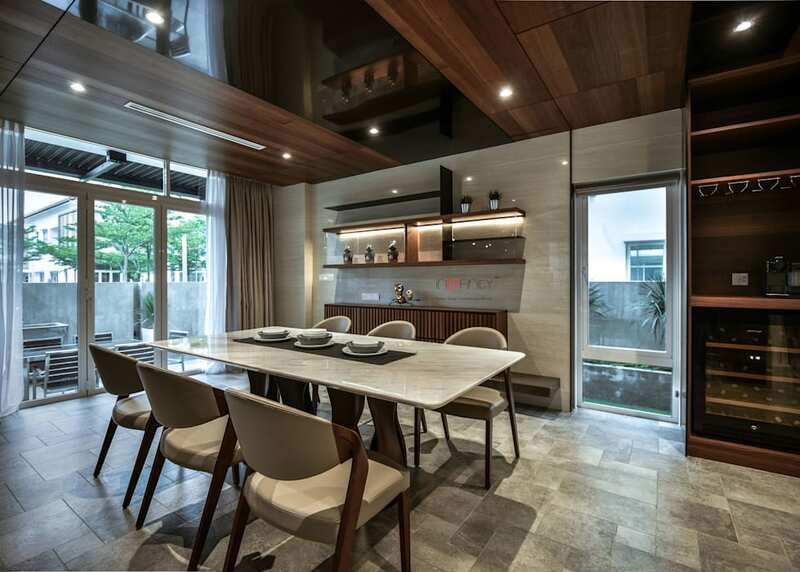 The villa is located in the tropical Malaysia, the site has the advantage of being surrounded by gardens, and the spatial strategy has its own characteristics and echoes with the materials and environment. Scale: 3599 sq. ft. Design: 大雄設計 Snuper Design Inc.
Construction: inD'finity Design (m) Sdn. Bhd.